It’s the Dreaded Back to School Time! 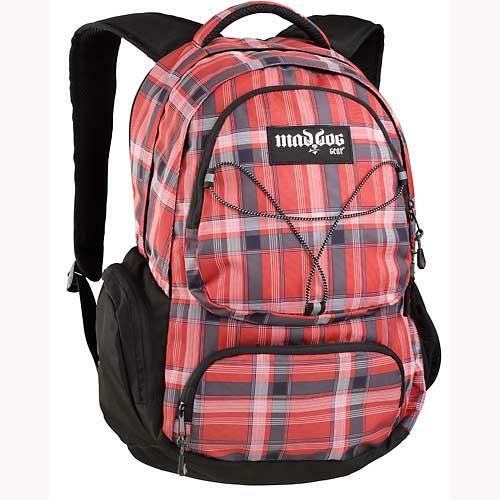 Why not send them back in style with durable backpacks that you know are going to last the entire year? 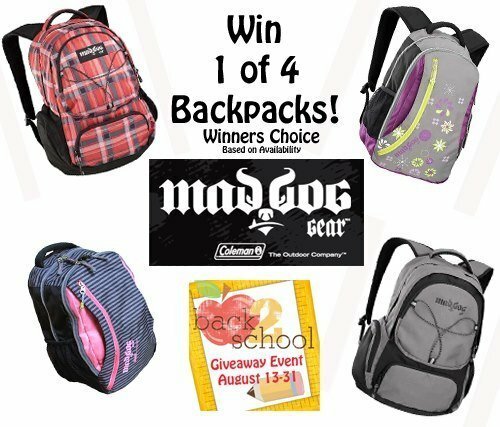 Enter Mad Dog Gear, from Coleman the Outdoor Company, you can be sure that these beauties are made to last. Every year, my daughter absolutely loves going school shopping, especially picking out a backpack. For her, it’s the utmost important thing to do when we go shopping. It has to be the perfect color, girly enough, big enough and have cool pockets and stuff. That’s the criteria my 8 year-old looks for and I—well, I look for durability and style. This mama isn’t buying a Justin Bieber backpack anytime soon. For one, I’m familiar with Coleman. As many of you are I presume and they are awesome. I have had Coleman products that have lasted decades, actually my father could attest to that. Moving on, 4 WINNERS folks! Giveaway starts at 12:01AM (est) on Aug 15th and will close on August 31st at 11:59pm. I think Mad Dog has many styles to choose from. For boys and girls of all ages, like the one pictured above. It could be for both boys and girls and it’s still stylin’. For more information and to see the selection of backpacks that start at $39.99 and up, check them out over here. Thanks to My Silly Monkeys for organizing this awesome giveaway! Til next time, cheers m’deres!